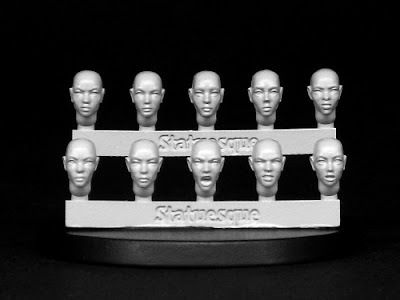 Khorosho Productions: New Heroic Scale Female Heads NARROW 2 and Bald on sale now! Below, I've put together various test conversions using the Heroic Scale Female Heads NARROW sets to see what's possible. 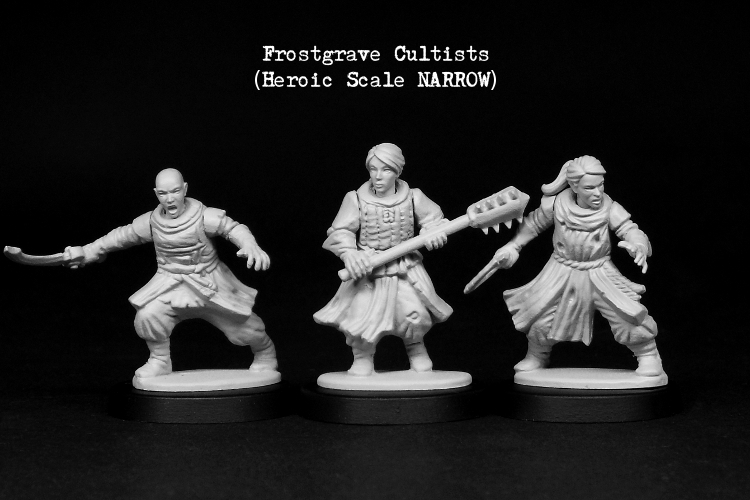 You can see more on the blog HERE. 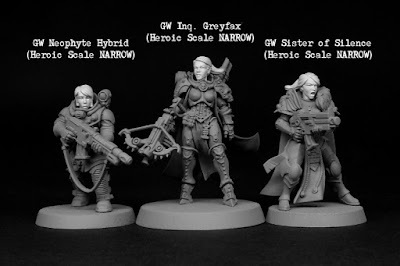 Heroic Scale Female Heads Narrow on three Games Workshop plastic figures. Heroic Scale Female Heads Narrow on Frostgrave plastic Cultists. A hole was drilled to match the width of the necks, giving a secure join. 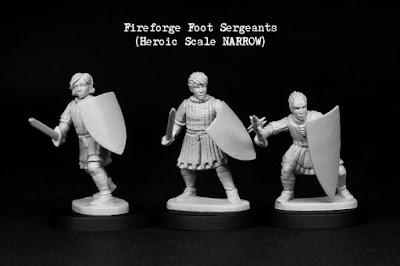 Heroic Scale Female Heads Narrow on Fireforge plastic Foot Sergeants. Again, a hole was drilled for the neck attachment. 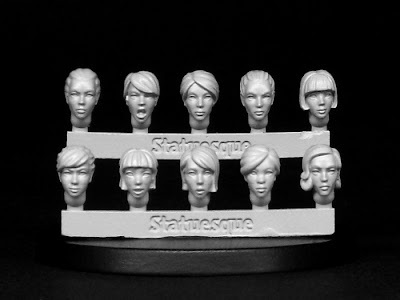 The existing neck 'stub' on the bodies was removed with a scalpel.